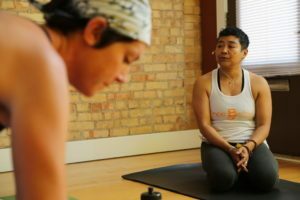 Michigan’s only donation-based yoga studio now has it’s own unique yoga teacher training program. 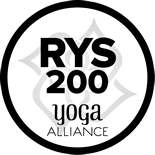 Just B Yoga, a Michigan Hometown Health Hero, will share community-based yoga fundamentals along with traditional yoga postures and philosophy to help train yoga instructors who want to help grow and strengthen their communities. Learn foundational teaching practices (philosophy, history, postures, anatomy, alignment and safety) but I also will incorporate elements that are core parts of Just B Yoga’s mission – accessibility (teaching to all body types and ages), sustainable studio and individual practices (engagement and involvement with other integral parts of our community), conscious commerce (how to build diverse commerce models to incorporate sacred economics rather than capitalism). DUE BY NOV. 23 (BLACK FRIDAY) $500 SAVINGS!! Inquire about a payment plan or scholarship. Then submit your application fee. Once both are received we will process your application. 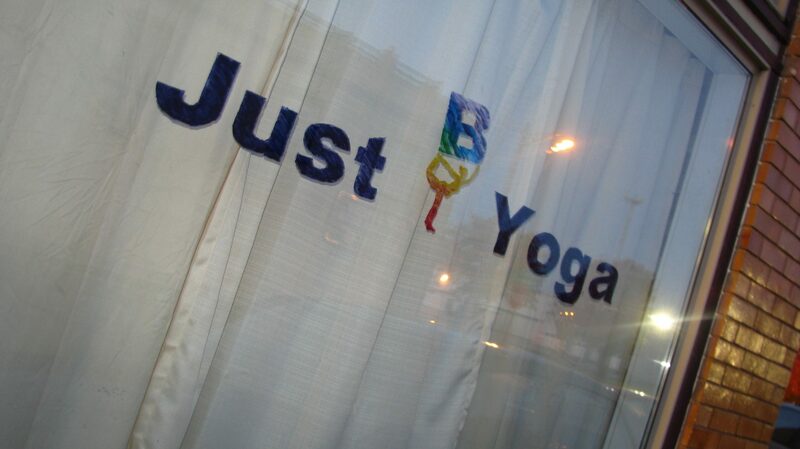 Please email info@justbyoga.com with questions or call 517-488-5260. Yoga is an ancient life system that was created in India by former ascetics aspiring to find inner peace and enlightenment. Today it has evolved to be a spiritual practice, a fitness system and in some circles the cure-all for what ails pretty much anything. There’s yoga for runners, yoga for arthritis, yoga for PTSD, yoga inside breweries, yoga acrobatics, yoga for 12-step recovery. But yoga is just yoga. It’s just yoga – simple and complex, easy and hard, shallow and deep. I don’t believe in stripping anything away and teaching only pieces of yoga. Yoga translates as “yoking” in sanskrit. It means to pull together, to connect. To strip parts of yoga out in our teaching isn’t teaching yoga. It’s giving the student the carburator without the rest of the car. Yoga is a life system that connects our bodies, breath and mind for balance and clarity in order to connect and integrate with spirit. It’s the integration part that often gets set aside making yoga something we go to “do” somewhere else rather than something that’s within us, guiding our actions and words and intentions every moment. Creating and supporting sustainable yoga practice – individual, group and business – that nourishes, collaborates and connects and helps grow. 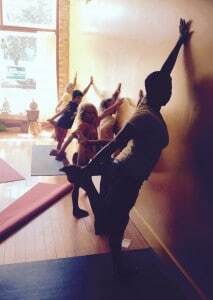 Teaching yoga is an honor that carries deep responsibility. There’s a vulnerability each student is offering us. A trust that is often not earned yet and bears so much possibility for disappointment and suffering. Teaching yoga demands the highest PRACTICE of our yoga. It’s your yoga practice in action. You will challenge yourself, scare yourself, doubt yourself, distrust yourself, you may even quit on yourself. And then your practices begin anew returning to the first yoga sutra: Hatha Yoga Nushasanam (And thus the exposition of yoga begins). Teaching actively reminds us that all is constantly beginning. You have not arrived when you become a yoga teacher. You are just beginning your practice anew.